Nike's latest offering is worth popping the bubbly for. 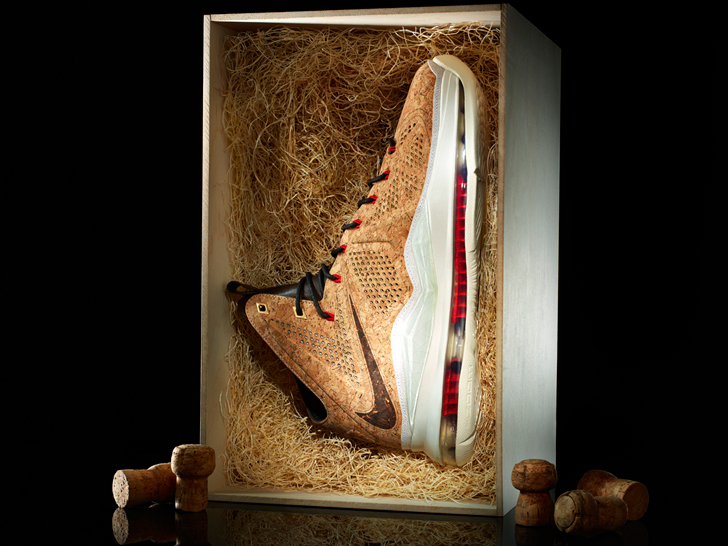 The special-edition "Lebron X" shoe features an upper composed of 100 percent genuine cork, a regenerative material stripped from the bark of the cork oak every nine years. A tribute to Miami Heat basketball player LeBron James, who signed with the sportswear giant 10 years ago (hence the "X"), along with his first championship win in June, the shoe "honors the tradition of cork-popping champagne celebrations," according to the company. It's expected to debut in February 23 as a run-up to what Nike promises to be a year of "additional basketball footwear surprises."